FINALLY, the school year is over! And now, I get to sit back, relax, and update my life online. 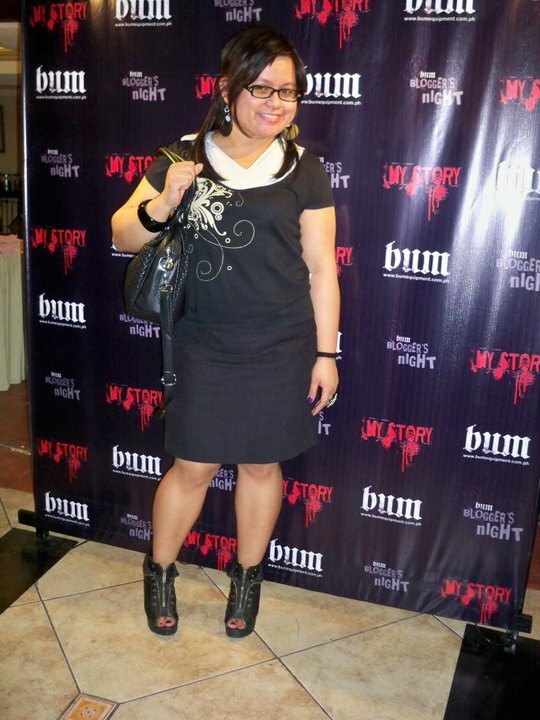 Last April 8, 2011, Friday, my cousin Jen invited me to go with her to the BUM Equipment 2nd Blogger's Night @ Dulcinea, T. Morato. The event was supposed to start at 7 pm. But since I came from work (my last official day of duty before my summer break from school! ), I arrived late.. around 8pm. Thank goodness I didn't arrive too late and I was able to have a fun time there to meet up with some bloggers, view BUM's new clothes, and have a grand time taking pictures! So as it was my first "bloggers" meetup and event meetup too, I was really excited. I didn't know what to expect. It was great that my cousin and Rache were there so I didn't feel too uncomfortable. Later on, I was able to meet up with another fellow blogger, Bec and we had a cool time getting to know her as well. As for the event, it was really great! They setup a place where you can take pics of yourself with the BUM logo at the back. Then I registered and was given this really cool giveaway bag with awesome goodies (thanks so much BUM... the black bag is my favorite.. a teacher can never have too many bags.. hahaha). 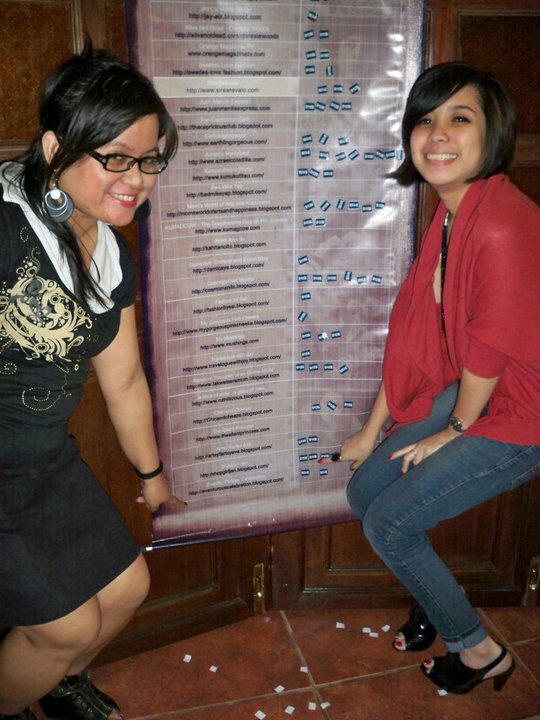 We were also given a chance to "vote" for our favorite blogger and of course, who else would I vote for then my cousin. She also won a prize for being one of the top 3 "most voted" blogger. Then Rache and I checked out the clothes. 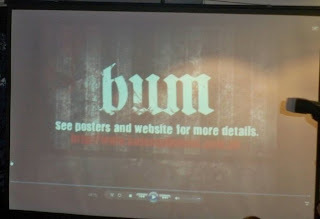 B.U.M. had a lot of statement shirts. 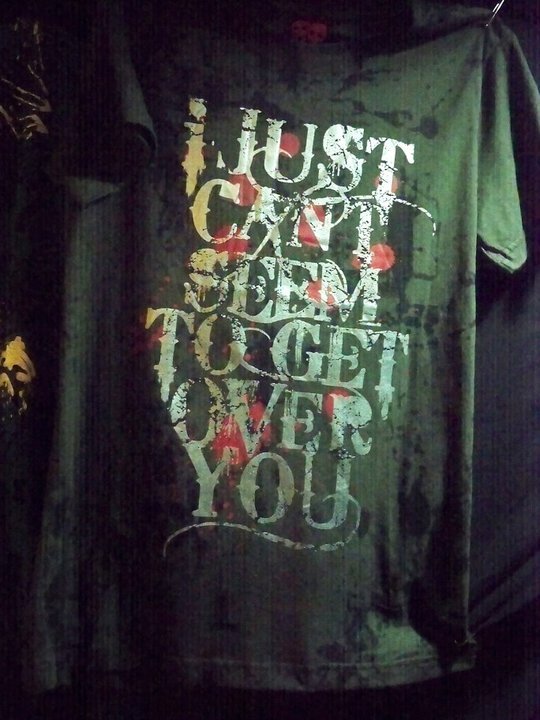 Definitely for those who want to express themselves--especially for the Emo people out there. I know, I used to be a bit "emo" too! LOL. Here are some of the shirts that I found interesting and struck a chord with me. 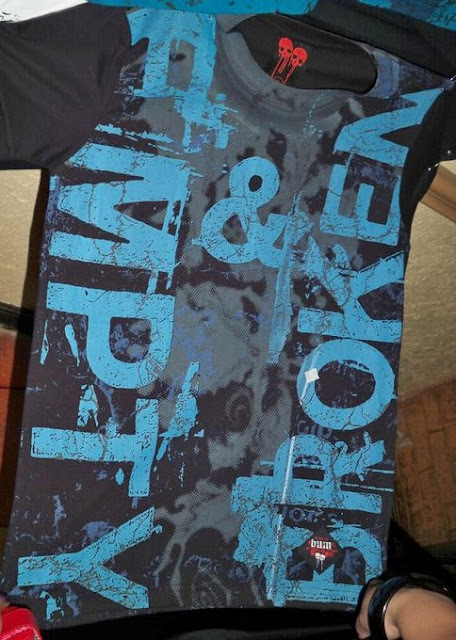 When I saw this shirt, it really spoke to me.. and I remembered the times when I felt empty and broken. Now, I'm Healed and Restored and I can now look back at those times with a smile on my face because I know that God can use a situation to make you into a better and stronger person. Anyway I had a lot of fun and hopefully I will be able to do things like this again during my summer vacation. 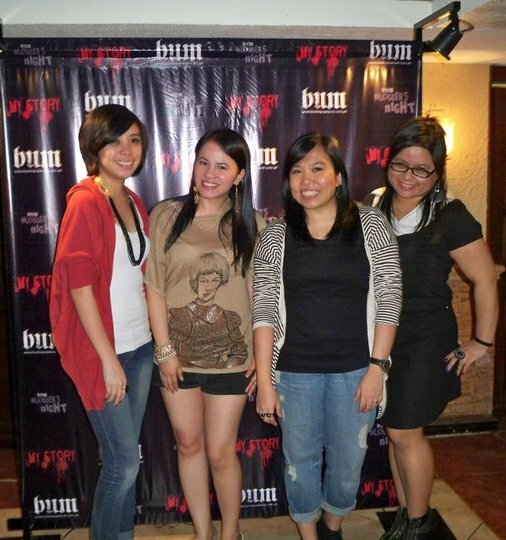 Thank you BUM, Jen, Rache, and Bec for the awesome time last Friday. For me, it was indeed an event to remember! Rache, Bec, Jen, and ME! Photo credits go to Jen and B.U.M!